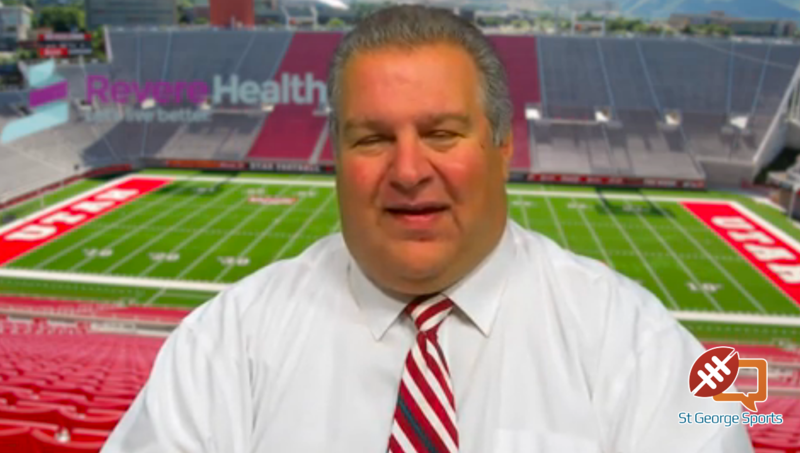 ST. GEORGE – Dixie started the Saturday with two early wins over 4A schools and Snow Canyon and Desert Hills ended the evening with impressive wins over 5A schools. Even with an afternoon loss by Pine View, it was still an impressive 6-1 day for the teams from Region 9. It’s not Groundhog Day. Snow Canyon did, in fact, beat Herriman by the exact same score twice in one day at the Texas Roadhouse Classic. In the first meeting, a 1 p.m. start at Warrior Field, the time limit had expired for the tournament game in the sixth inning. 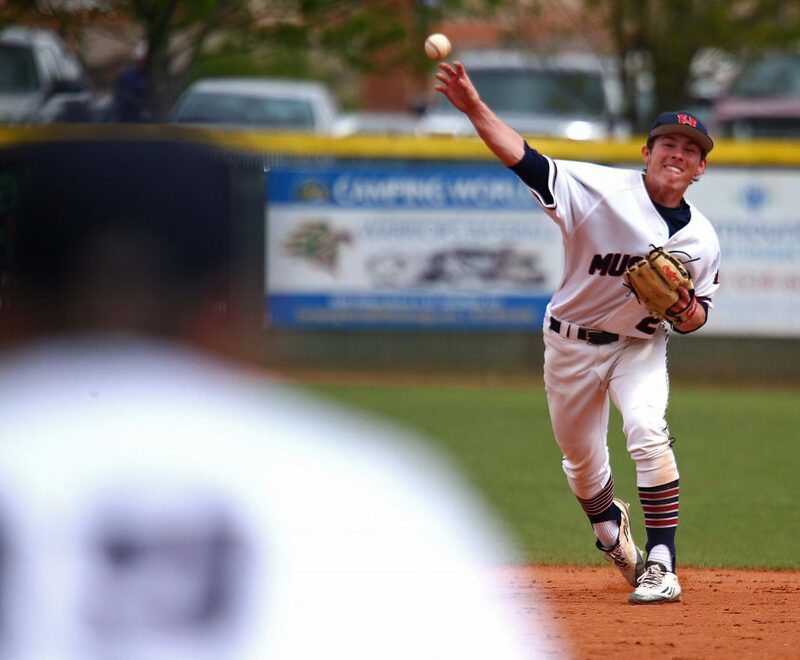 The Mustangs, who were 2-0 on Friday, threatened in the top of the sixth, but left a runner in scoring position. That left Snow Canyon with the opportunity to end the contest with a single run. Jamison Day, the SC lead-off hitter, came up with one out and drew a five-pitch walk. The speedy Day then stole second base and went to third on a wild pitch. After a fly out for the second out, Day came home on another Herriman wild pitch to end the game. Then, with two outs, Davis Rigby singled to left to bring home the tying run in Parker Ence. Austin Deming then stroked a double to left to chase home two more runs and make it 6-4 for SC. 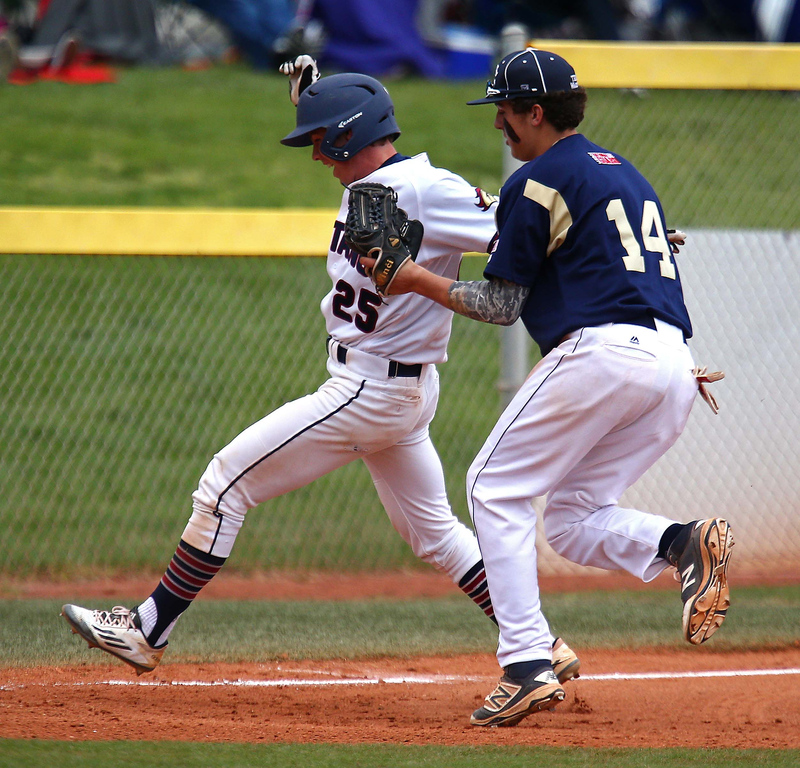 Herriman tied it in the fifth with a pair of runs, setting up the epic sixth inning. 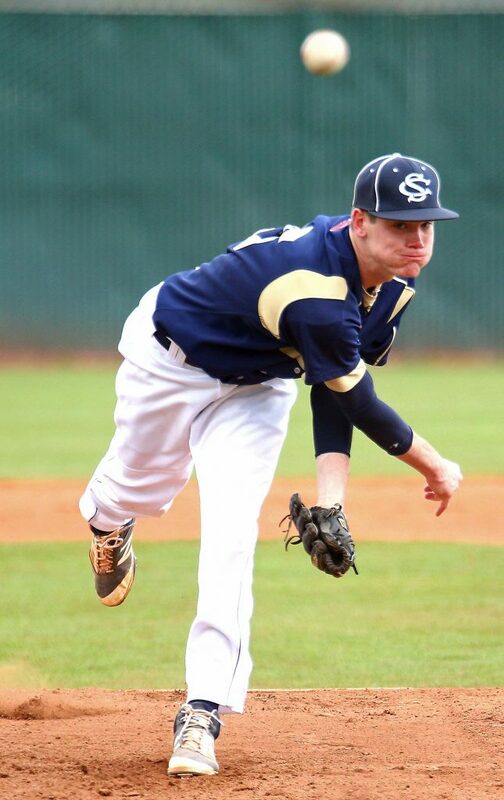 Tanner Howell got the win in relief for Snow Canyon. Deming and Rigby had two hits each and Stephen Gubler had a double and an RBI. The two teams met again in the championship game of the Classic, a game that didn’t start until nearly 10 p.m. With the two extra innings, the contest lasted 20 minutes into Sunday, with Day emerging as the hero once again. The Warriors had led 6-3 and needed just three outs to come away with the tournament title. But the seventh inning did not go well for SC. Matt Kitchen had been cruising along, allowing just three runs through six innings, but he started the seventh with a walk and then hit the second Herriman batter. Reliever Austin Deming didn’t fare much better in the seventh. He started with a strikeout, but then walked the bases loaded. After another strikeout, Herriman drew a walk to force home a run and make it 6-4. The next batter, Dallin Johnson, lined a 1-2 pitch right up the middle that scored two and tied the game at 6-6. 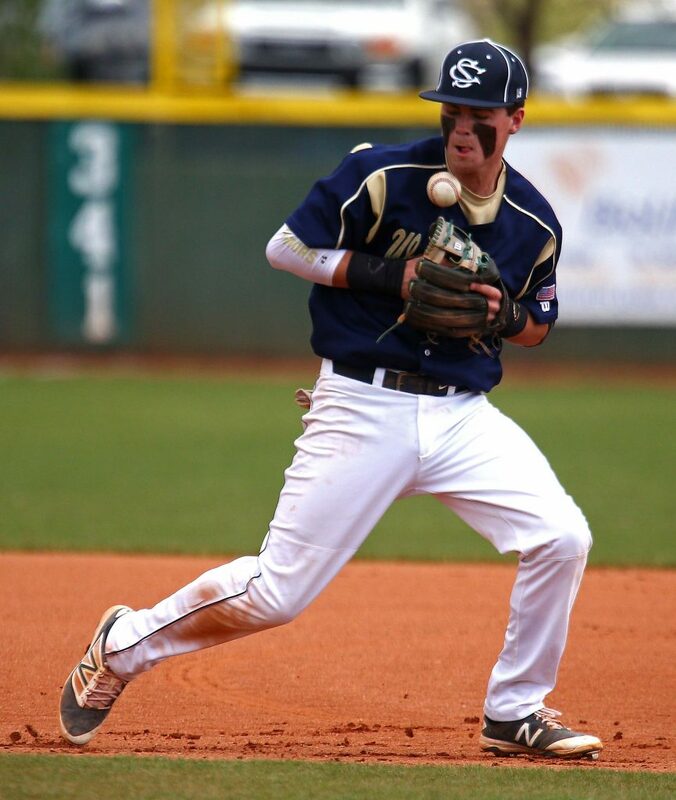 Snow Canyon threatened in the bottom of the seventh, but left two men on, and did the same in the eighth. 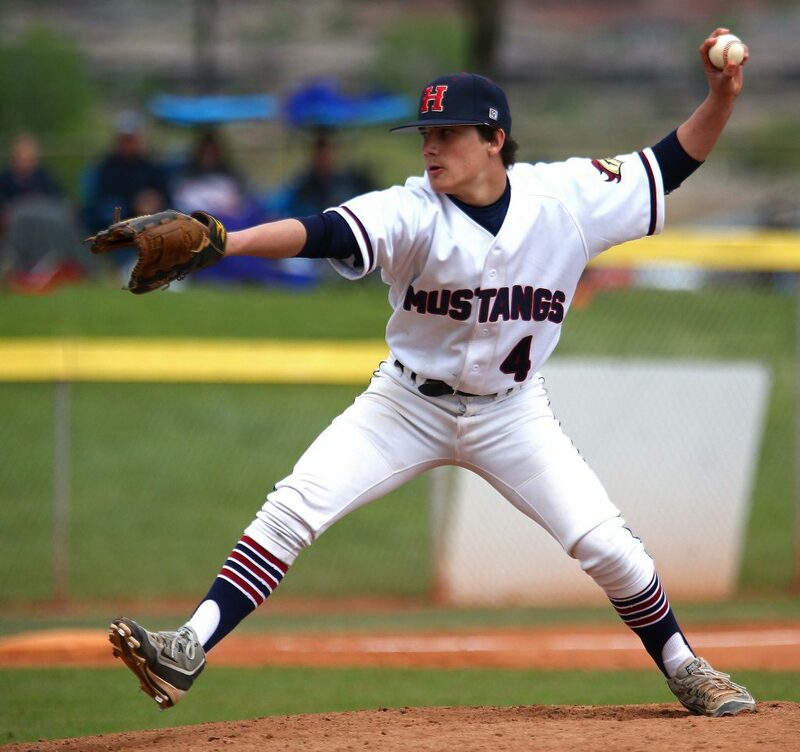 Deming kept the Mustangs off the scoreboard in the eighth and ninth, setting up a chance to win in the bottom of the ninth. Kaleb Gates got his second hit of the game by leading off with a single to left. Seth Smith came in to run for Gates and promptly stole second base. Day then ended the game by lining a single to left field that brought home Smith for the win. Secrist was happy with his team’s approach at the plate, saying his team is finally “swinging the bats the way I know we can.” The Warriors had 22 hits in the two games, with Rigby collecting four, Deming and Day getting three and several others with two each. The Warriors have one game left before Apr. 4’s region opener vs. Cedar. 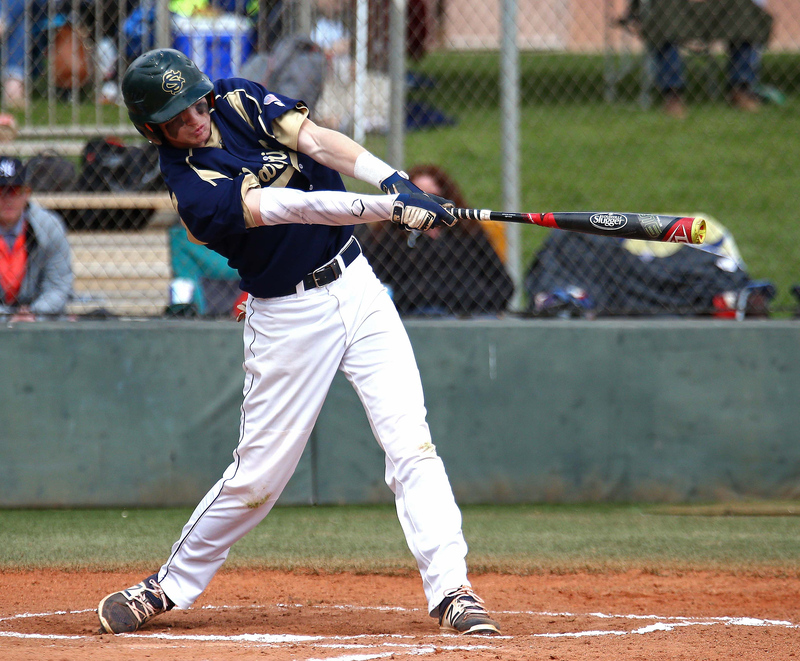 Snow Canyon hosts Nevada power Bishop Gorman Tuesday at Warrior Field at 5 p.m. 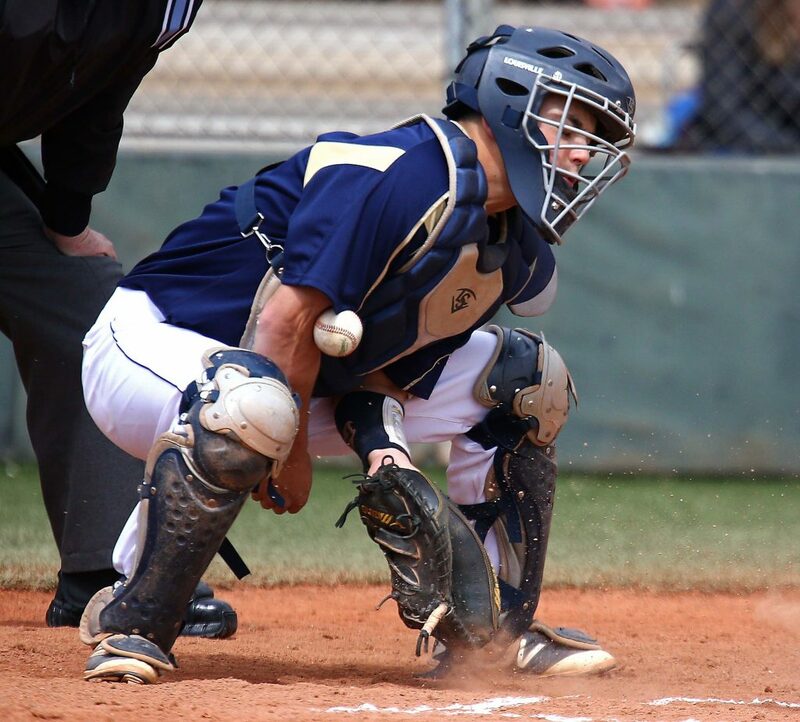 The Thunder beat two very good baseball teams Saturday, using pitching and defense to hold out the Golden Eagles, then offense and base running to surge past the Vikings. Against Maple Mountain, Drew Thorpe was pretty much lights out on the mound, allowing just four hits and striking out nine in 6.2 innings. 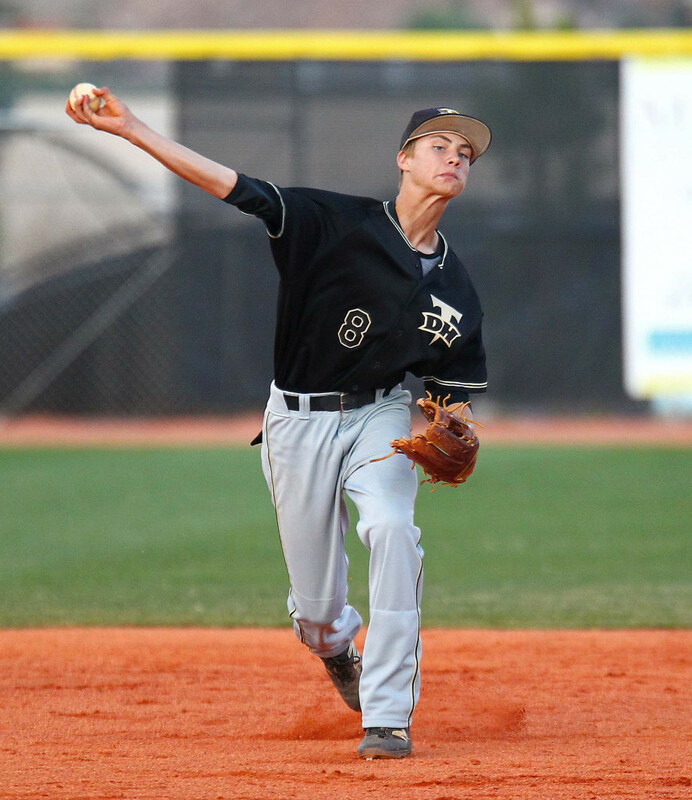 The sophomore couldn’t quite finish the game, so Trey Winget entered with two outs in the seventh and got his third save in as many days for Desert Hills. Winget came in with two on and two outs and actually walked the bases loaded. But the senior star induced a 2-2 come-backer for the final out. The only runs of the game came early. Mason Creager safety-squeezed home Chad Nelson with a bunt in the top of the second inning. 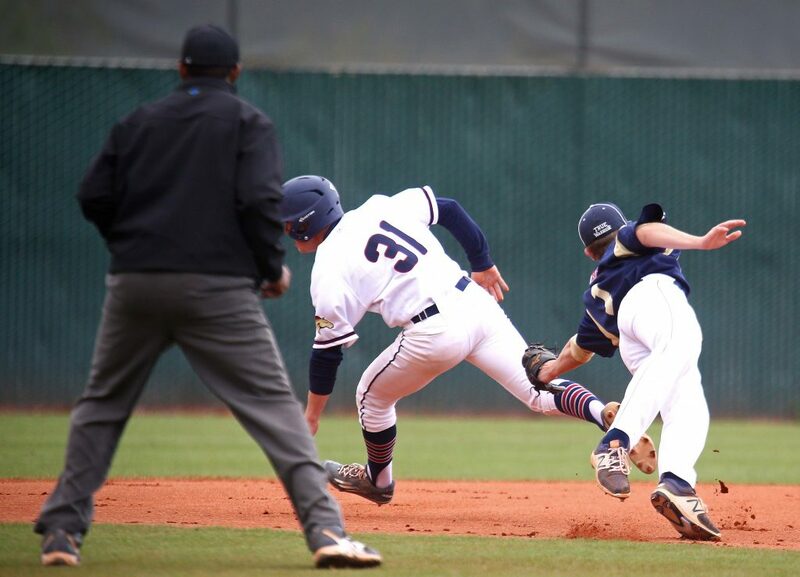 The Eagles threw home to try and stop the run, but Nelson beat the tag to make it 1-0. In the top of the third, DH went up 2-0. Winget was hit by a pitch, stole second and then stole third. After a walk, Sam Rhoton hit into a double play, with Winget scoring from third on the grounder. 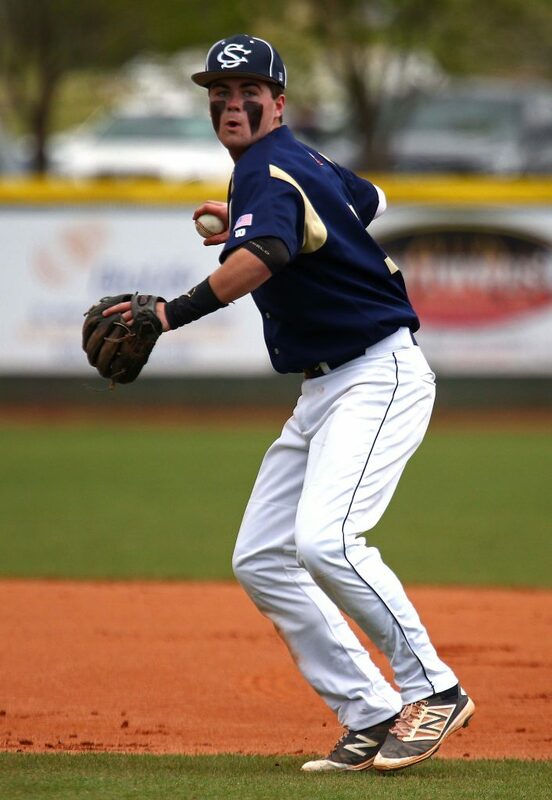 Thorpe did the rest, never allowing a Maple Mountain runner to reach third base safely in the game. Against Pleasant Grove, the 2015 5A state champ, the Thunder turned to another sophomore, Dallen Turner, to pitch. Turner gave up three runs to the Vikings in the top of the second inning, but his teammates had his back with their bats. Creager knocked home a run in the bottom of the second to make it 3-1 and the Thunder tied it in the third when Trey Allred scored on a passed ball and Rhoton grounded home Winget. Creager had an RBI single in the fifth to make it 8-3 and the Thunder started to put the game away in the sixth when Betts socked a two-run homer to left to make it 10-3. Maklain Briggs pitched three innings of relief for Desert Hills, giving up five hits and three runs, all unearned. Betts ended up with three RBI in the game and Winget had two hits and a walk. The Thunder went 3-1 on the weekend and are now 10-2 on the season. DH plays at Enterprise Tuesday (3:30 p.m.) as a last tuneup before a region-opening series against Dixie the first week of April. It was a dominant day on the diamond for Dixie, which had 25 runs, 24 hits and 10 extra-base knocks. The first game started at 10 a.m. as Dixie battled the home team Tigers and it was close through four innings. 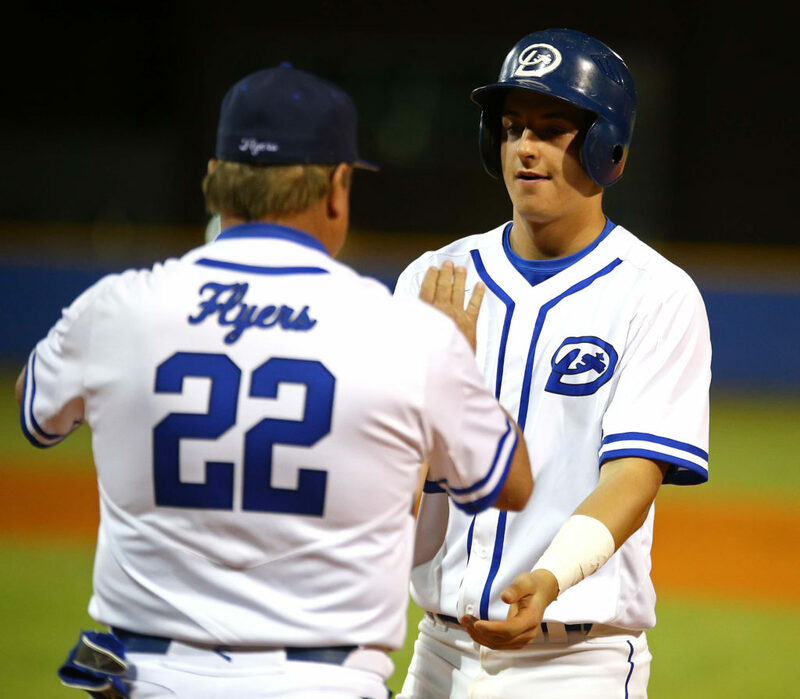 The Flyers had managed just two runs and were clinging to a 2-0 edge. But a seven-run rally in the top of the fifth busted the game wide open. Tyson Fisher led off with a double, followed by a walk and a single to load the bases. Kayler Yates hit a sacrifice fly to make it 3-0, followed by a Reggie Graff single that made it 4-0. With two outs, Hobbs Nyberg walked with the bases loaded to make it 5-0 and Dayton Dempsey pushed the lead to 7-0 with a two-run double to left. Fisher then looped a two-run single to center for his second hit of the inning, making it 9-0. Dixie added five more in the top of the seventh on RBIs by Stockton Sorden, Payden Harrah, Pierce Goodwin and Graff. Fisher had four hits and three RBIs in the game, with Harrah collecting three hits and Graf and Dempsey getting two each. Fisher pitched five shutout innings, allowing three hits. Cooper Vest pitched a scoreless sixth and seventh. 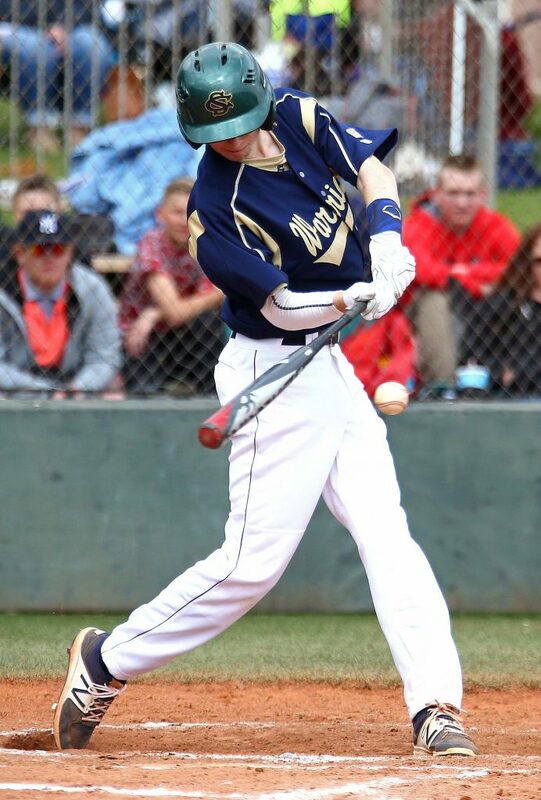 Against the Vikings (also played at Orem High), Dixie grabbed the lead in the bottom of the fourth by putting up four runs on RBIs by Dempsey, Fisher, Harrah and Yates. Harrah and Yates each got their second RBIs of the game in the fifth as Dixie pushed the lead to 6-0. Viewmont cut it to 6-2 in the top of the sixth, but the Flyers put the game away in the bottom of that inning by scoring five more runs. All five runs came on homers as Kaleb Leaviit and Nyberg went back-to-back to lead off the inning and Harrah picked up his third, fourth and fifth RBIs of the game by blasting a three run shot over the left field fence. Nyberg was masterful on the mound in the game, going all seven innings and allowing just four hits and one earned run. He struck out six and walked just one Viking batter. Offensively, Harrah had three hits and five RBIs and Leavitt, Nyberg and Fisher had two hits each. Dixie, 10-1, will host Canyon View next Friday at 7 p.m. before taking on Desert Hills in April to start region play. The 5A Lancers left no doubt in this one, scoring two in the first, three in the third, one in the fourth, one in the fifth and three more in the seventh. Pine View, meanwhile, had a tough time figuring out Layton pitcher Tanner Kofoed. The freshman allowed just one hit in five innings of work, a third inning single by Porter Draney. 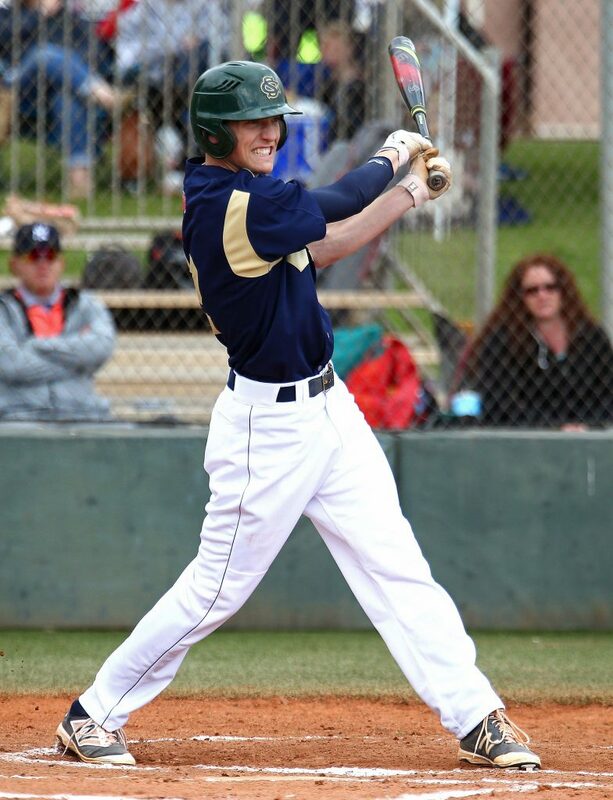 The Panthers did get to Layton reliever Nick Hender for three runs in the sixth and one in the seventh, but the lead was too big at that point to mount any kind of serious comeback. 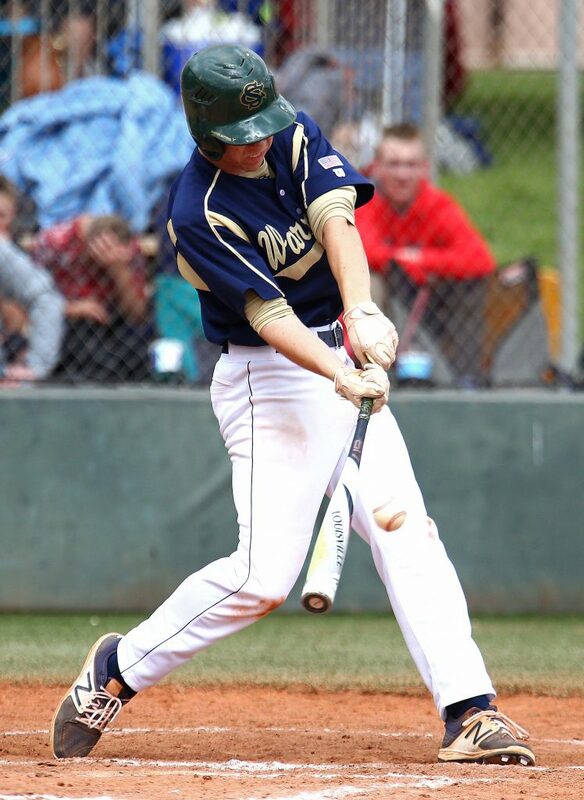 Draney had two hits, including a double for Pine View in the game. 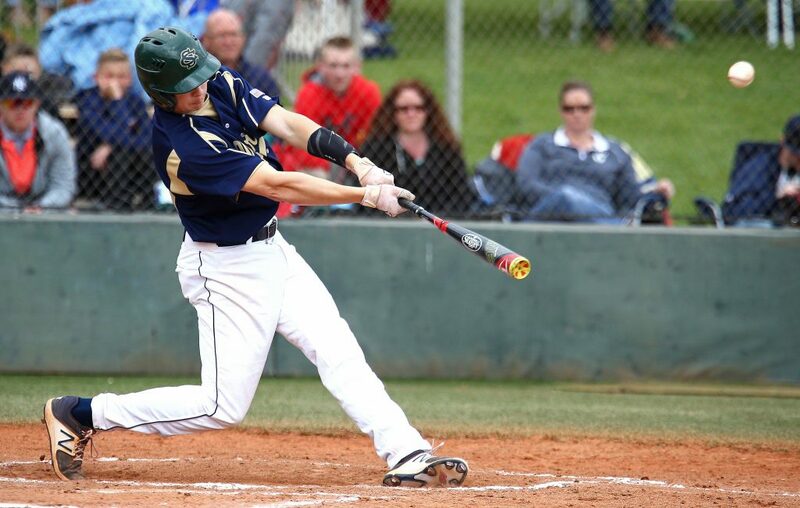 Dawson Staheli had a two-run single, but Pine View finished with just five hits and committed six errors. Layton had 14 hits, four for extra bases. The Panthers, 6-5, take next week off and open Region 9 play Apr. 4 with a home game against Hurricane.